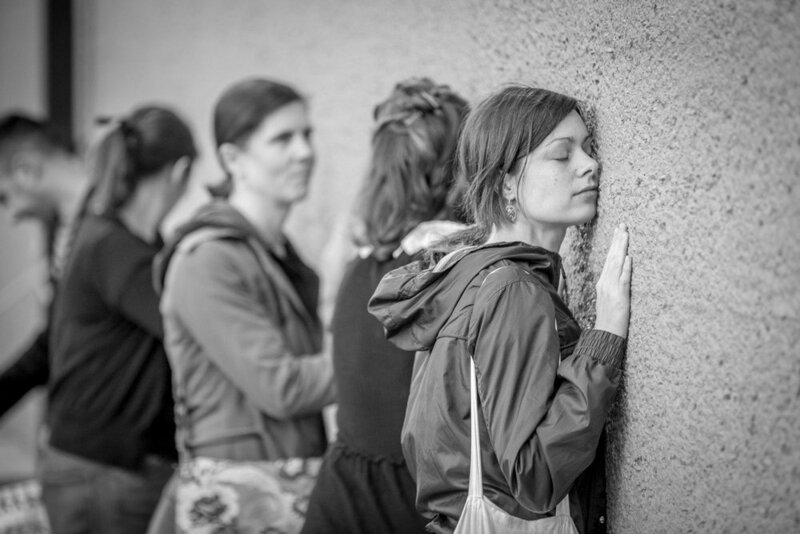 In 2014 we created a site-specific performance piece in Dilston Grove in Southwark Park. Dilston Grove is an arts space and former church,it is an extraordinary building, made of poured concrete in 1937. It was derelict for many years, before becoming a local arts and community space. We developed a performance called A Testimony and a Silence, in which we worked in the space with the a rarely-performed play, The Massacre by Elizabeth Inchbald. Dilston’s layers of meaning - as a place of sanctuary; as a disused and erased place of worship; and as an exhibition space, a place of looking and remembering, connected powerfully with the play’s tensions around the impulse to testify to terrible events, and its equal and opposite need to look away. Ideas of memorialising and making the site of terrible events sacred, resonated in our performance with the need to remember, to testify to the events of The Massacre expressed in Inchbald's play. We explored the growing contemporary phenomena of dark tourism, the fascination with locations of atrocity and the tensions inherent in the staging of horrific events. We explored the phenomena of trauma literature, the play's connections to this through its use of fragmented, disjointed testimony and apparently 'verbatim' sections of text. 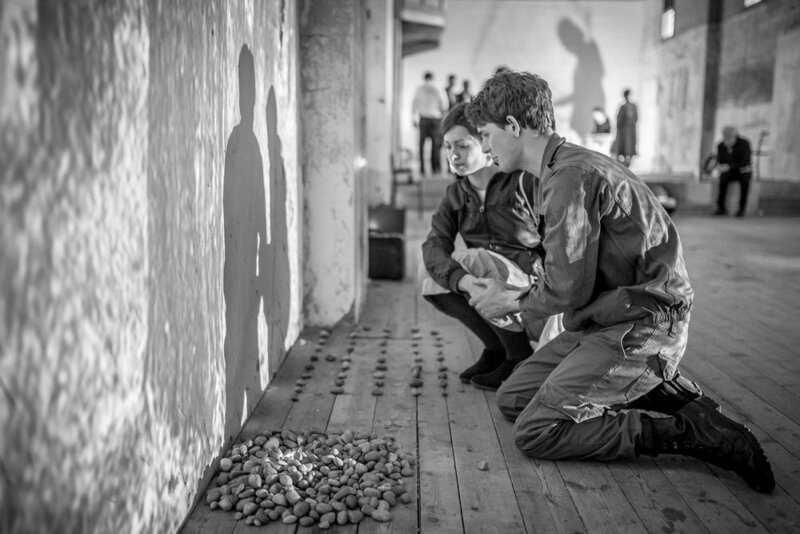 Audiences were free to move about the space and engage with performers, installations and the site.